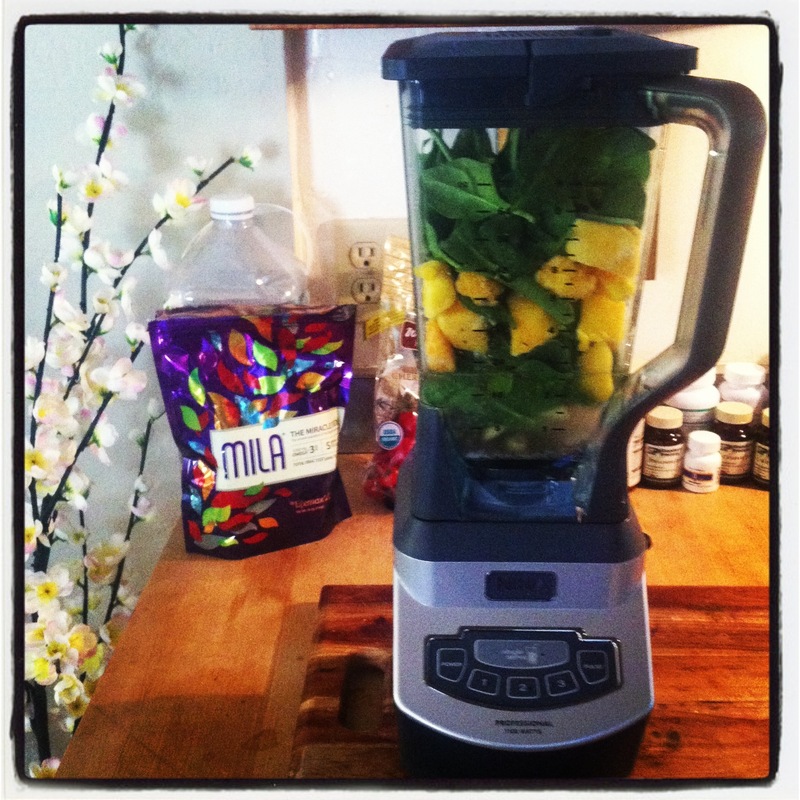 Change the course of your day by replacing breakfast with my absolute fave green smoothie! Let me know how you feel after 2 weeks, K? Put Chia Seeds in blender first …. fill coconut water up to the 2 cup line and let chia seeds soak for five to ten minutes. Add spinach, mango, avocado, ginger, sea salt and honey and blend for at least one minute. Voila!